Castle Church Door | A place for dialogue and conversation around all things church. . .
nor the ornaments made, nor the dinner plans steady. wondered how we would finish before Christmas dawn. one tired and sad, and the other a grouch. while our hearts raced ahead of their usual patter. but a village alive ‘neath a night starry clear. through a close, winding street towards the sound of a song. and a trio of doves cooing down from a loft. then a shout, “He is here!” and a woman’s sharp cry. and a poor woman’s tears from her nest in the stall. and his voice starting humming the song once again. of a child and a promise and a hope for the earth. and the man looked to heaven and started to weep. and we wakened to find most our things much the same. still the days over full and the work under fun. their sins to be healed, and their hearts as his throne? to do just what is right; still the holiday’s His. to the gift of the child and the life that is there. So I think of the song; may it fit to my voice! Today is the commemoration of St. John the Baptist…his birthday celebrated exactly six months before Christmas Eve. The reason for the date is linked to the Baptist’s own words from John 3:30: “He must increase, but I must decrease.” …a reference to Jesus and the necessity of his emerging ministry as John fades from prominence in the Gospel narrative. No surprise then that we celebrate his birth in these first few days after the summer solstice as the days decrease in length (here in the northern hemisphere)…just as we celebrate Jesus’ birth during the darkest days of the year as the days are beginning to grow longer. The Baptist’s words, however, are more than just a convenient way for us to organize the liturgical calendar. They are also a call for those who would be the friends of Jesus in this day and age to humility and true discipleship…an opportunity for honesty about who we are and what we are called to do as God’s people in the world. Yeah…sure. Everybody hits a dry patch once in a while. But this has been deeper and has gone beyond blog writing: On one hand, there is the weariness and frustration that comes from preaching/teaching/working towards a goal that seems all too elusive. (The Kingdom of God, in case you hadn’t heard, has not yet arrived in Elmore.) And on the other hand, there is the hubris…me being convinced that somehow the whole project of being faithful church in this place rests on my shoulders alone. This is foolishness, of course…self-defeating and an absolute dead-end. But it took me re-reading the Baptist’s assessment of his own ministry to hear it. Having sorted all this out, I’m feeling a bit better about myself and my call to ministry this morning. But somebody keep a copy…because I’ll probably forget all too soon, and end up back in the same grumpy and unproductive place. (I have a tendency to do that.) In the meantime, I invite you to examine your own ministry as one of the baptized. How is it that Christ must increase in you? And how might that increase set you free to be the person God has intended all along? 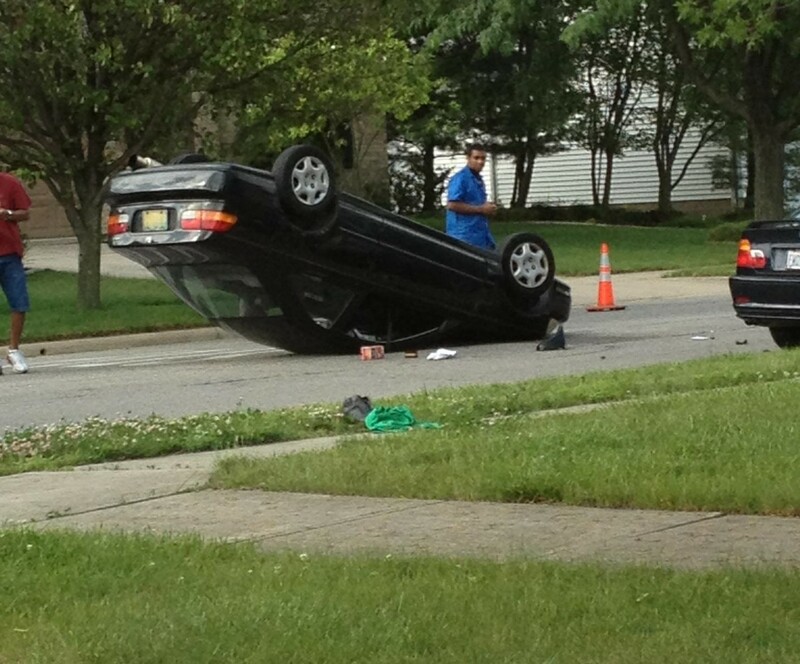 This past week, in our quiet residential neighborhood, where the speed limit is 25 mph, a vehicle came to rest upside down in the middle of the road. I don’t know how it got that way, but I feel for the teenaged driver. Thank God he wasn’t injured. Mortified, yes. Embarrassed, to be sure. But physically okay. A few years ago, the tag line for a popular insurance commercial asked, “Life comes at you fast. Are you in good hands?” That’s an important question, not only for the kid in the upside-down car, but for all of us. I can’t help thinking of the kid who was driving the car, standing there on the curb, waiting for the police to come. Waiting for his parents to come. Waiting for the whole ordeal to be over. We live so much of our lives in-between. In between brokenness and healing. In between the pain of offense and the ability to fully forgive. In between faith and doubt. In between paychecks. In between jobs. The mission congregation that my wife, Patti and I were planting here in Reynoldsburg was not able to become self-sustaining in the time-frame that we were given. So our funding ran out, and we held our final service at the end of May. Life comes at you fast. What now? What’s next? We don’t know. Living in between grief and hope, we wait. I can’t help thinking of King David, who, when faced with uncertainty, asks, “I lift my eyes to the hills, from where will my help come?” – Psalm 121:1. The hills were where Israel’s pagan neighbors had altars where they went to worship their self-made idols. But David knows that he needs more than self-help and more than false gods that can’t deliver what they promise. “My help comes from the Lord, the maker of heaven and earth,” he concludes. We live in an unpredictable world where disappointments abound. Some are the result of circumstances beyond our control and some are the result of our own sinful actions. But either way, those who repent and believe the gospel are in the good hands of Jesus. Life came at our Lord fast. Falsely accused. Tried. Condemned. Beaten. Mocked. Crucified. Dead. Buried. Risen. Between Good Friday and Easter Sunday was Saturday. A day of waiting. A day of uncertainty. A day for trusting God’s promise and provision. A day in between. That’s where much of our lives are lived. Life comes at you fast. What now? What’s next? We want to get on to get on with it, but there are lessons to be learned in the desert, which is the bible’s image for “in between times.” God wants our trust. So like the Israelites of old, we pray, and wait for the cloud to move… and greatfully gather up the manna that comes each morning as a gift. Have you heard the Bible story about Joshua and the walls of Jericho? (It is found in Joshua 5:10-6:27. You should read it for yourself if you are unfamiliar.) The story takes place in the Old Testament: after the Exodus from slavery in Egypt, the crossing of the sea, the giving of the commandments and forty years wandering in the wilderness. With the death of Moses came time for the Israelites to enter the Promised Land. Joshua was now the leader. Though sanitized by many children’s Bibles, make no mistake, this was a ‘take no prisoners’ military conquest. Joshua was the right man for the job. Jericho posed a problem: seemingly impenetrable walls encircled the city. Under Joshua’s leadership, the people camped outside the city and began to eat the produce from the land. As soon as they did, the manna that sustained them in the wilderness ceased. They now had a land filled with milk and honey, but Jericho prevented them from claiming it. In a vision, Joshua received an unusual idea for how to conquer the city. For six days, as priests blew trumpets, they were to march around the walls and when they were done, the people were told to shout. On the seventh day they were supposed to do the same thing seven times. 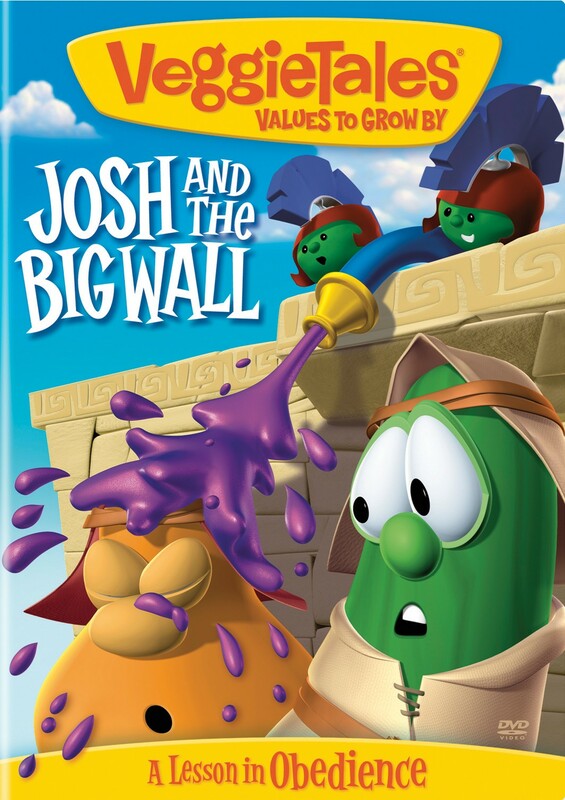 In an animated version of this story from the 1990s called “Josh and the Big Wall” by Veggie Tales, the priests wore sunglasses and played “When the saints go marching in” as the guards from Jericho threw purple slushies at them. In the cartoon, the people from Jericho ran away. The Bible version of this story is not quite so tame. When the walls were breached, everyone (except for Rahab and her family – a spy who would later be counted among Jesus’ ancestors [Matthew 1:5]) either fell by the sword or the burning of the city. I think this story typically gets used this way: we are just like the people of old, we sit encamped outside the city, odds against us, slushies (or worse) being hurled in our general direction. We are unwelcome, overwhelmed, ill-equipped, and unprepared as to how on earth (or even in heaven’s name) we are possibly going to break in to either a system, a culture or a community. We try to answer that question from a leadership perspective (be like Joshua, bold and courageous) or from a creative one (do something outside of the box – like march around the walls). We theologize about it, saying that if God wants it to happen, it will happen. The Divine sanctioned violence is troubling. After all, Joshua led only after God gave him the vision to do it. -Didn’t the people inside Jericho think their side was somehow righteous and just? -How did that work out? -What did they think of this outside group poaching off their land and threatening their lives? -Isn’t that the reason they built walls in the first place? -What did they think of Rahab who betrayed them? -Did they see her walk away with them from the ashes? I’m starting to see this story more as an indictment than as a motivator. Maybe we are the ones inside Jericho. Maybe we are not on the outside looking into a culture we don’t feel like we have footing but maybe we are walled up inside a fortress seeking refuge from the changing world around us. Maybe we see what these “new people” look like and their strange ways of living and being look nothing more like a frivolous parade around our walls. Yes the trumpets are loud, but we are safe inside. Maybe we are too busy enjoying a slushie. We know God is on our side, this fortress we call the church is on a sure foundation, and we have centuries of resources, culture, status, and tradition to protect, so let’s check the walls, check the bolts on the doors, and if we see somebody we don’t like coming, we can always launch a slushie at them. -How often do we (even unintentionally) turn people away? -How often do we bolt the doors (even in a metaphorical sense)? -How often do we lack the desire and interest to notice, listen, and seek to understand new neighbors, emerging cultures, different generations, innovative ways people communicate, and expanding discoveries because we like the way things are and would rather secure our walls than step outside? The answer, of course, is too often. It is probably a primary contributing factor to the decline of churches of all kinds of denominational heritage all across the Western world. As the world continues to change we see those who are outside our experience as a threat, and those who walk outside to greet them as betrayers. We keep systems in place that stopped working years if not decades ago as we feel self-assured that our status within the landscape is secure. We make assumptions that are no longer valid and yet continue to reinforce them like walls against a foreign world –seeing any threat to these structures as a very assault upon God, if not our way of life. So we try to recruit others just like us, to keep the walls in place. And while we might make headway for a while – the walls still tumble and we still sit in the ashes, feeling plundered, left behind, and out of slushies. There is an alternative: open the doors, go outside, and see who is new in the neighborhood. 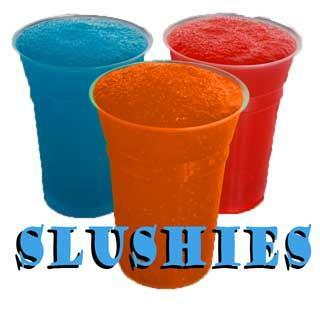 Who knows, maybe they might like a slushie on such a warm day. Maybe we could meet new friends, and not for the sake of getting them to help secure our walls, but because we have a genuine interest in who they are, where they’ve been, what they find to be important and where they struggle. Maybe we could help. Maybe they can too. Maybe the church can be a place where people want to meet – even if it isn’t for “church.” If God is the God of everyone, why are we so worried about the box we believe we keep him in? Wouldn’t it be more freeing, alive, vibrant, exciting, and faithful to catch ourselves in the act of meeting Jesus all over the place, and hearing some worthwhile stories along the way? After all, he says, “When you did for the least of these, you did it to me” (Matthew 25:39). I’d love to hear more about that. My hunch is…deep down you would too. Let’s meet outside for a slushie and talk it over. And hey, bring a friend, or someone new to your neighborhood. As we waited for our children to get off of the bus, I was talking to a neighbor of mine. He comes from Eastern Europe. The bus stop is in front of our church. As we were talking, he looked at our church and then at the Congregational Church that sits perpendicular to it across the street. His eyes danced back and forth between them. He turned to look at me. “Don’t churches all face the same way?” he asked. We laughed, and then chatted about for several more minutes before our kids got home. I have been thinking about this conversation for a while. I hope our relationship grows and continues to develop. But right now I am left with a few questions concerning the insight I gleaned from this casual chat. Which way are we pointed? Is it the past? The future? Inward? Outward? To ourselves? To God? To others? 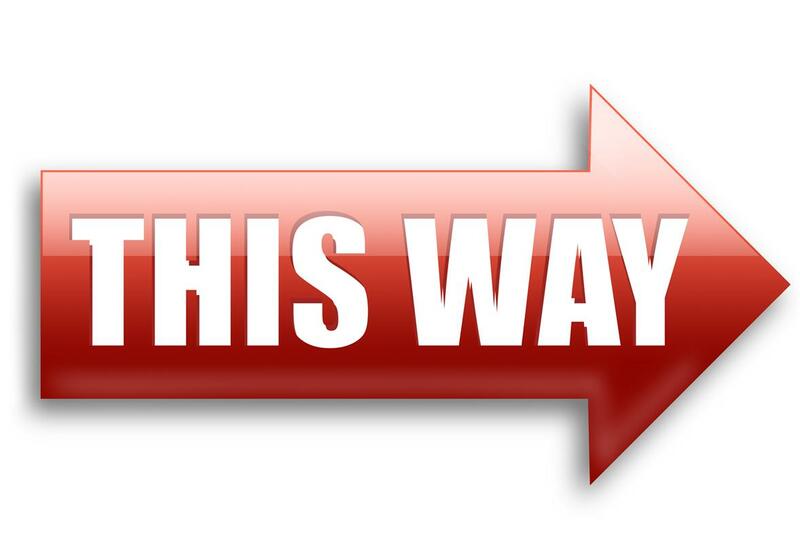 Whichever direction we point, our trajectory will lead…right? Where do we go when we get disoriented? Is there a place in 21st century America that reorients us when we get lost? I’m not sure if there is a single unifying norm – other than our own individuality, a popular culture that is about as solid as shifting sand, and a glorified past that looks a lot more unified than it probably ever was. Sometimes I think the direction we face most often is chasing our own tails in circles. Are we living in occupied territory? I came across an article this week that suggested Americans see somewhere between 247-3000 marketing messages a day (David Lamoureux, “Advertising: How many Messages Do we See in a Day?” Fluid Drive Media. Online Available: http://www.fluiddrivemedia.com/advertising/marketing-messages/). Even if these numbers are not even remotely true, the influence of constant messages over us to consume and keep consuming is beyond subtle. To contrast this, how many messages a day do we see, read, share, about helping people, utilizing our gifts and talents for the sake of others, or grounding ourselves in the story of God we claim to be foundational to our lives as people of faith? As one example – I publish this midweek message once a week, and preach on Sundays…that’s two. I’m part of two Bible studies a week; add two more. 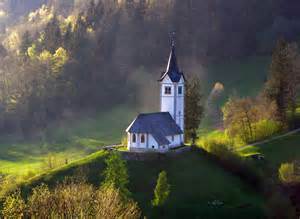 Devotions in the morning and reading blogs and articles, daily prayers, time spent with groups or chatting with colleagues, and conversations with individuals, like my new friend I see at the bus stop that happen in the moment fill good chunks of my days. For the sake of easy math – let’s say that is fifty or so direct encounters with faith in a given week. Lamaroueux suggests that even on the low-end (247) we see at least five times as many things advertised to us a day; suggesting life would be better if we bought that toothpaste, drove that car, or went on that particular vacation. (And those are not even directly harmful things.) No wonder we feel so overwhelmed. So which direction should we go? A proactive approach would be to try to engage the opposition. This sounds great – but I’m not sure I could take in 3000 advertisements a day and 3001 inspirational notes at the same time and not come out feeling any less overrun from the outside. We could try to counter just as many activities we chase around town to keep ourselves busy with by making our churches just as active. Yes we need activities to build up our community and keep us connected, but over the years I’ve wondered if at times we only add to the noise and tail-chasing, rather than draw others deeper into a relationship with God. We could try to subvert the wider culture and its activities but throw the name “church” or “Christian” in front of it, so we don’t just play in a softball league we play in a “church” or “Christian” softball league. There is nothing wrong with that of course, and such an activity could bring to us new friendships that are worth having; but it still doesn’t solve the problem – we are inundated by messages, activities, and values of a culture that seeks only to keep us consuming rather than giving ourselves away. We are living in occupied territory. And ad for ad, activity to activity, moment to moment, we can never quite compete. I think if this is the game we are going to play, we are going to lose. Another approach is to try to keep the world at bay. In doing so we believe that if we build enough insulation around ourselves, the barbarians can never quite breach the walls. 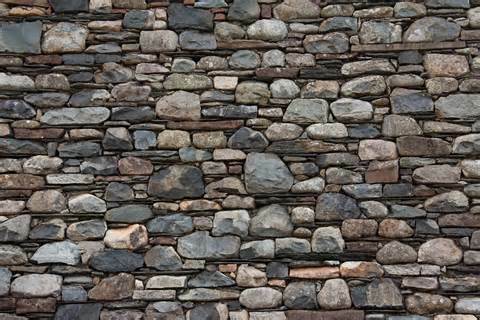 However, any student of history can tell you that any wall can eventually crumble and be rendered irrelevant; either by direct assault or technological advance. It is no secret that communities of faith often play catch-up in the world of technology and innovation; so if we think we can be one step ahead of the outside world to keep it at bay; then we really have been inside too long. A third approach is about as counter-cultural as our media driven, technologically savvy, consumerist culture can provide: What if we just simplified? Instead of three activities we chase around to participate in, what if we chose just one? What if we took a night off from running around and claimed it as sacred space? What if we…wait for it…turned the TV off, logged off the internet, and put our smart devices away – for at least an hour, together with our loved ones every day? What if we took a whole evening off or an entire day off together? What might happen if we thought we had to be part of something or life might pass us by, and instead we just said, ‘no’ to it? What if we chose to take a day or an afternoon to do something for somebody, rather than try to get something from somebody? What if we actually listened to someone tell a story about where the churches point, rather than having a three-point plan to reply as a stock answer to their query? What if we simply lingered in one message or maybe two, rather than hundreds or thousands – mediating on those verses or stories of scripture the entire week, trying to reflect on them in every other interaction we had? What if we stopped seeing the church as but one more activity among many, one more thing competing for attention on the calendar, one more interruption keeping us from catching our breath, and actually saw our lives as opportunities to share the breath of God with others, and the church served as our network, our resource, our springboard to help facilitate living our faith wherever we were? What if we remembered we accomplish nothing, but God accomplishes it all, and we, though weary and incomplete, are the vessels God uses to bring life to death, hope to despair, comfort to uncertainty, peace to turmoil, forgiveness to conflict; and light into darkness? Maybe, just maybe, we could see the church as a community of people – where God was at work, providing direction to an occupied people, looking for the way home.